Fernando Torres has played with his fair share of midfield maestros throughout his career whether it be with Andres Iniesta and Xavi in the Spain side that won a World Cup and two European Championship finals or with Premier League legend Frank Lampard during his time at Chelsea. The list of footballing greats the striker has worked with is endless yet none compare to Liverpool hero Steven Gerrard, as far as Torres himself in concerned. “I was a big fan of Stevie before I went to Liverpool, but playing with him was much better than expected,” he told Football Focus, as cited by the Liverpool Echo. 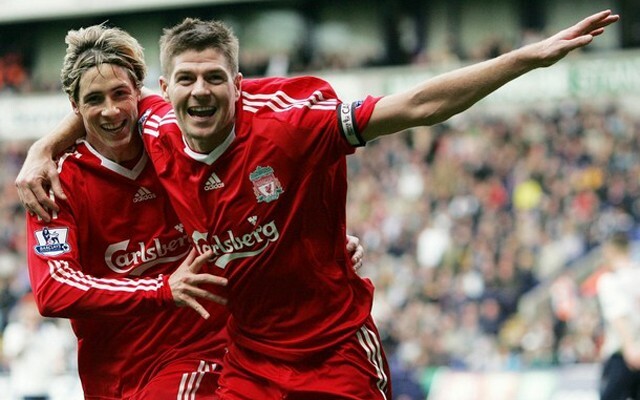 The Torres and Gerrard partnership was a joy to watch whilst in full-flow and proved to be the source of so many special goals over the last decade. Their unrivalled understanding that took Liverpool so close to a Premier League title is one that Reds will look back upon with fond memories. Grudges were understandably held by a number of Reds fans following the Spaniard’s move to Chelsea yet it seems many have rediscovered their respect for a man that brought so much to this club.